After a successful day in Machu Picchu, we were back in Ollantaytambo again after a 1.5 train ride. Ollantaytambo was our 'base camp' here as it was our main gateway to Aguas. 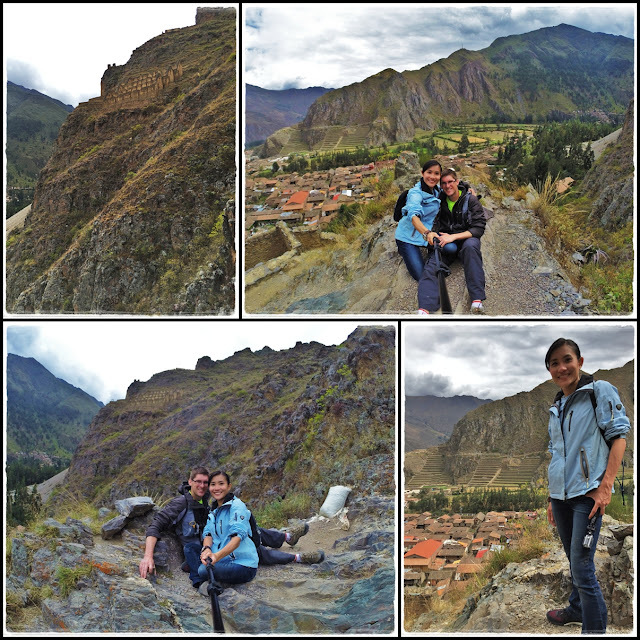 As compared to Aguas, Ollantaytambo is so much less crowded and quieter, perfect for anti-socials like us...lol!! 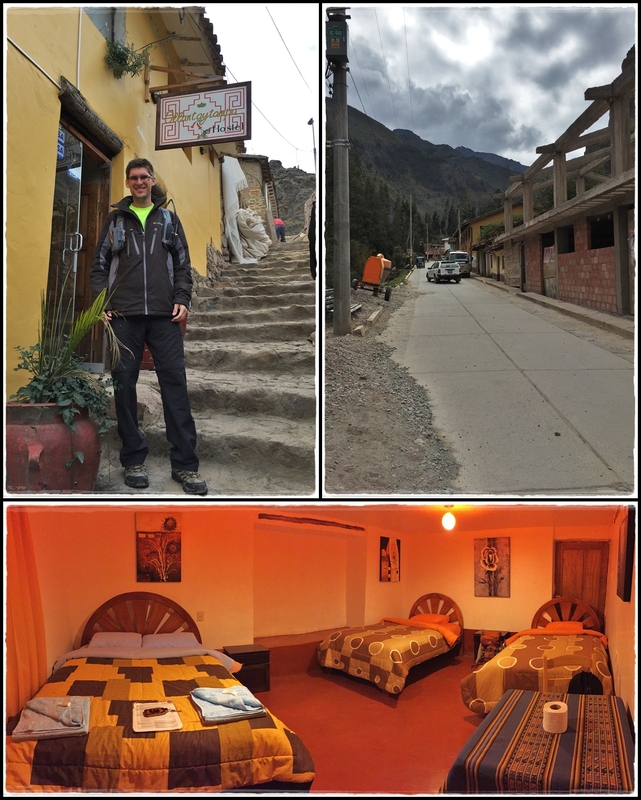 It was already 9pm when we checked-in our accommodation for the night...Ollantaytampu Hostel. We booked a twin room with shared bathroom for $20/night but got a free 'upgrade' to this quad room. =) This hostel is kinda hidden in an alley but the town is really small so it doesn't really matter where you stay. You can basically walk everywhere within 30 minutes. One thing we noticed in the hostels here is that they don't have heating/air-con/fans, only thick blankets but it was sufficient to keep us warm. This quaint little town is home to a charming network of narrow cobblestone streets, traditional stone buildings and irrigation channels, that have been continuously inhabited (by the Incas and their descendants) since the 13th century. This is where the Incas retreated after the Spanish took Cuzco. 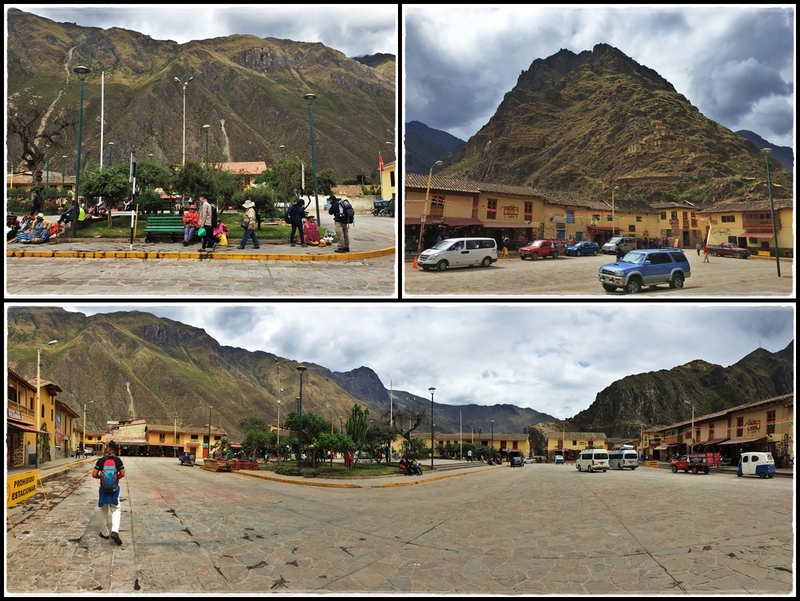 Much of the town is laid out in the same way as it was in Inca times. It’s one of the few surviving examples of an Inca grid system. 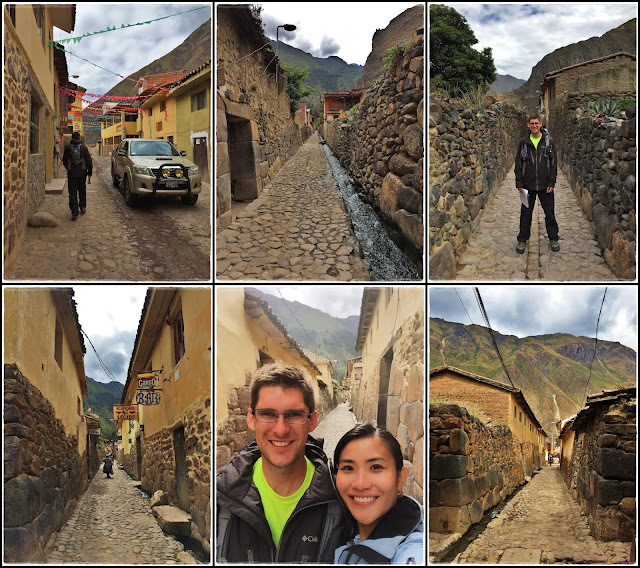 Instead of going to the main attraction in Ollantaytambo - Temple of Ollantaytambo, we chose to visit the smaller ruin on the opposite side called Pinkuylluna coz it's free of charge, whereas the other site would cost at least 70soles/$22! We read online that the trail is not well paved, but it turned out to be a lil' worse that what we expected. Just 10 minutes into our hike and we encountered this harrowing path by the cliff. To be honest, both of us are not fans of heights and even though we saw others going up and down that narrow path, we decided that it wasn't worth taking the risk. P.S. Even Wikitravel advised tourist to "Go with a friend or at least make sure you let your hosts at the hostel know where you have gone in case something should happen." Lol!! So this was where we decided to stop, enjoy the view and take photos. 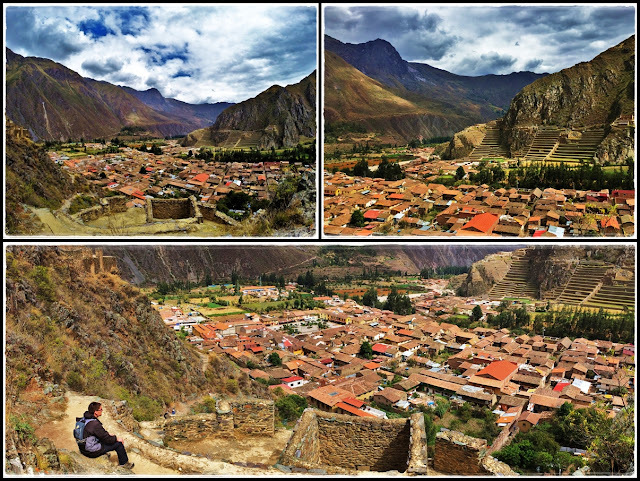 I would love to be able to get to the Incan storehouses (top left pic) but some risks are really not worth taking, even though we had travel insurance...haha!! After taking enough photos and videos, we hiked down and returned to the main square. The Ollantaytambo ruins on the left and Pinkuylluna on the right. Had lunch at Hearts Cafe. It was nice sitting outside and watching people passing by. 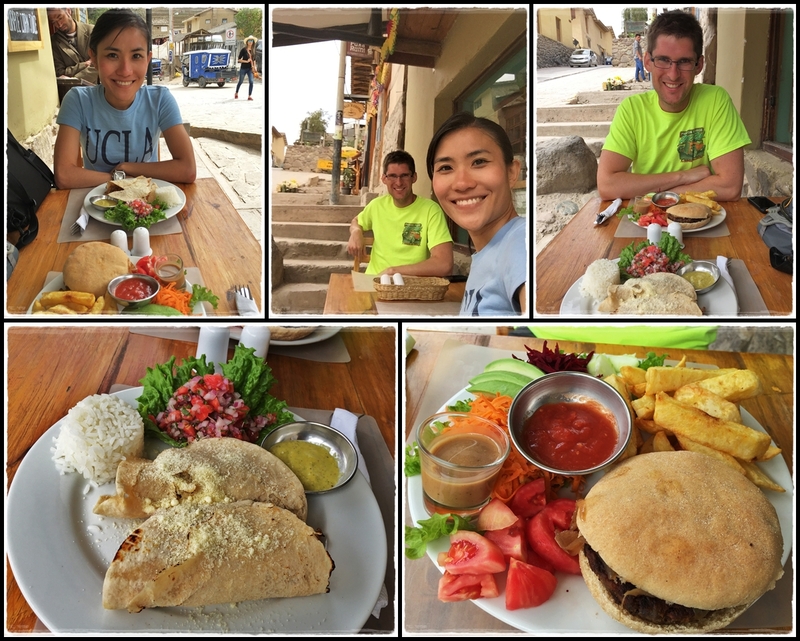 Food was pretty good and we found out that they donate all of their profits to a Peruvian non-profit Living Heart, which runs projects benefiting women and children in rural indigenous communities of the Sacred Valley. Good to know that we contributed our small part to the local community. Random photos of locals in Ollantaytambo. 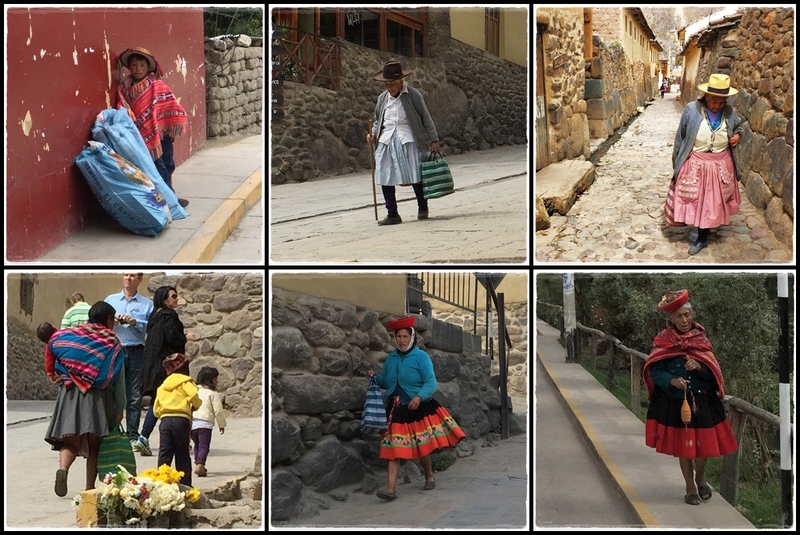 Peruvian fashion is very colorful. 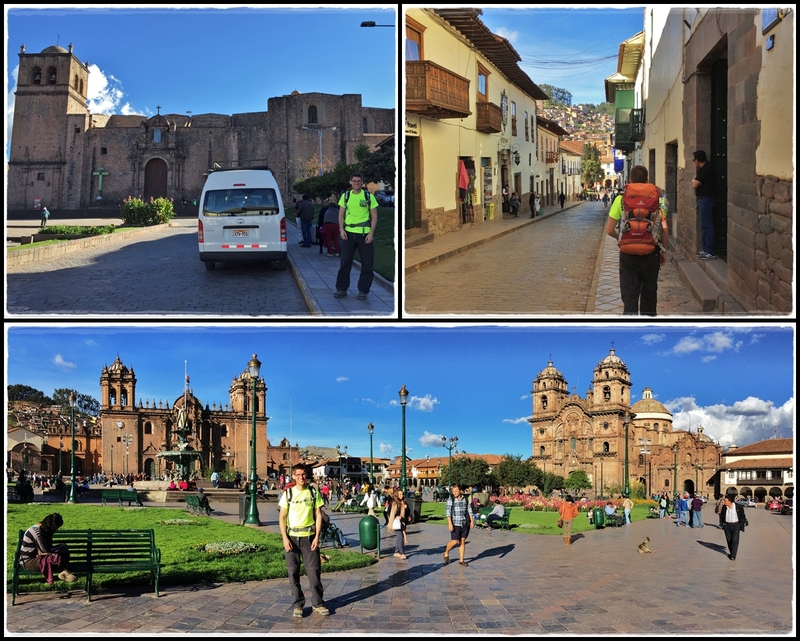 Time to bid goodbye to this charming town and take the collectivo back to Cusco. This time we were not as lucky and had to wait for about 45 minutes for the van to fill up but we were in no hurry. 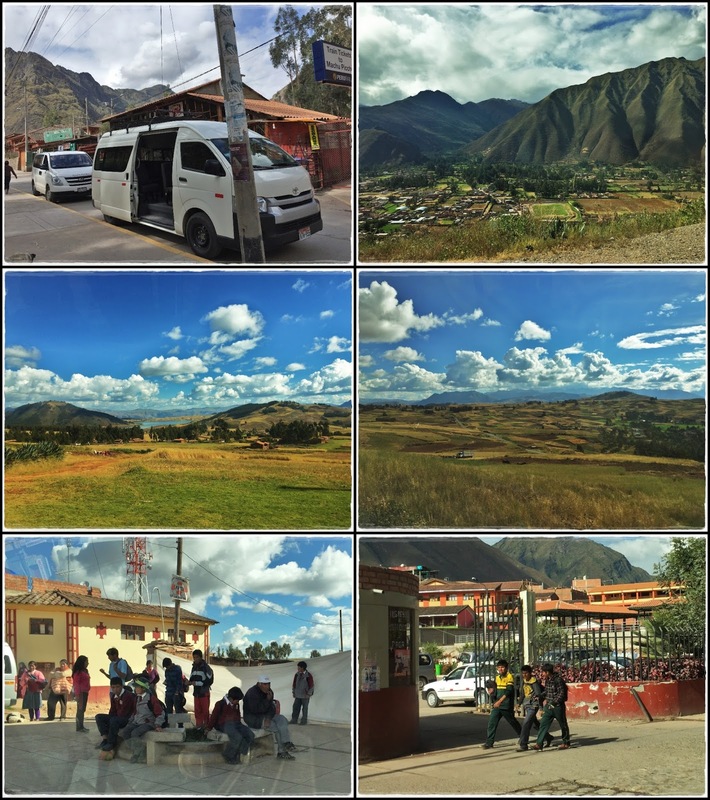 Spotted some students who just got off school as we drove through Urubamba town. Arrived Cusco at 3.30pm. 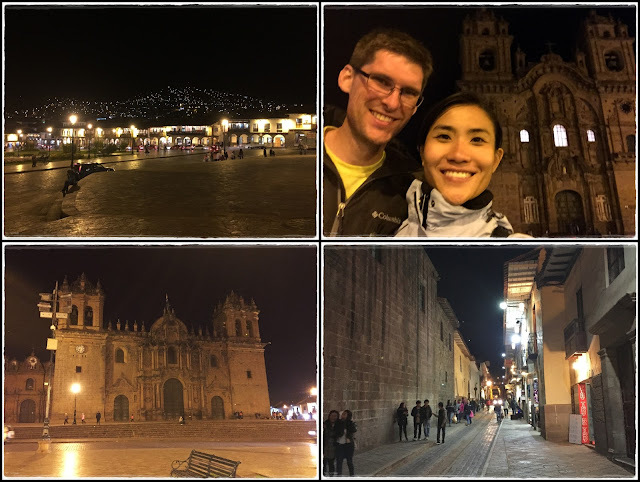 We were dropped of at Plaza San Francisco, which was only 500m from Plaza De Armas, the main square in Cusco, where our hostel was located. 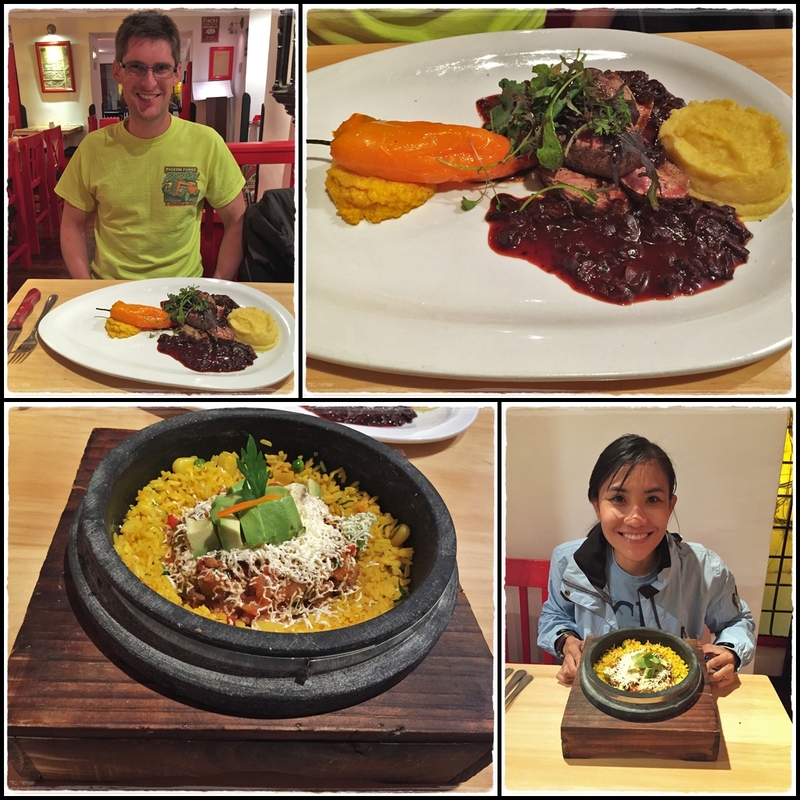 Found this restaurant called Marcelo Batata on TripAdvisor when we were trying to search for somewhere with good Alpaca steak. 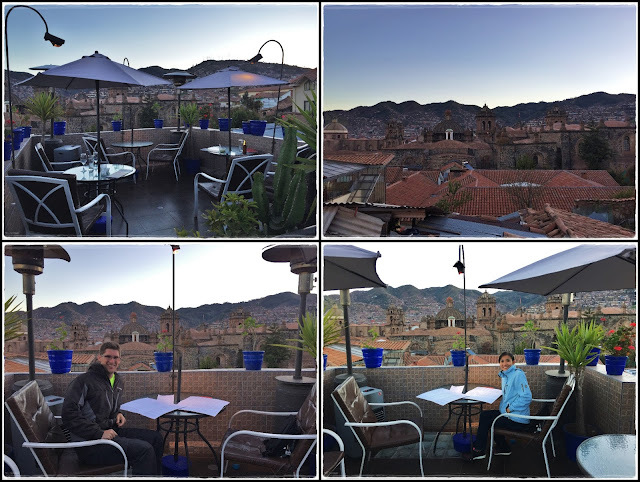 The restaurant has a nice rooftop terrace overlooking the city but it was too chilly sitting outdoor so we retreated back into the restaurant to enjoy our dinner. Went for a walk around the main square after dinner. The city is quite pretty at night, especially when the lights from the houses on the mountains are all lit up! That's all for Ollantaytambo. Next post...Moray & Maras Salt Mines.